Stoker J.F. 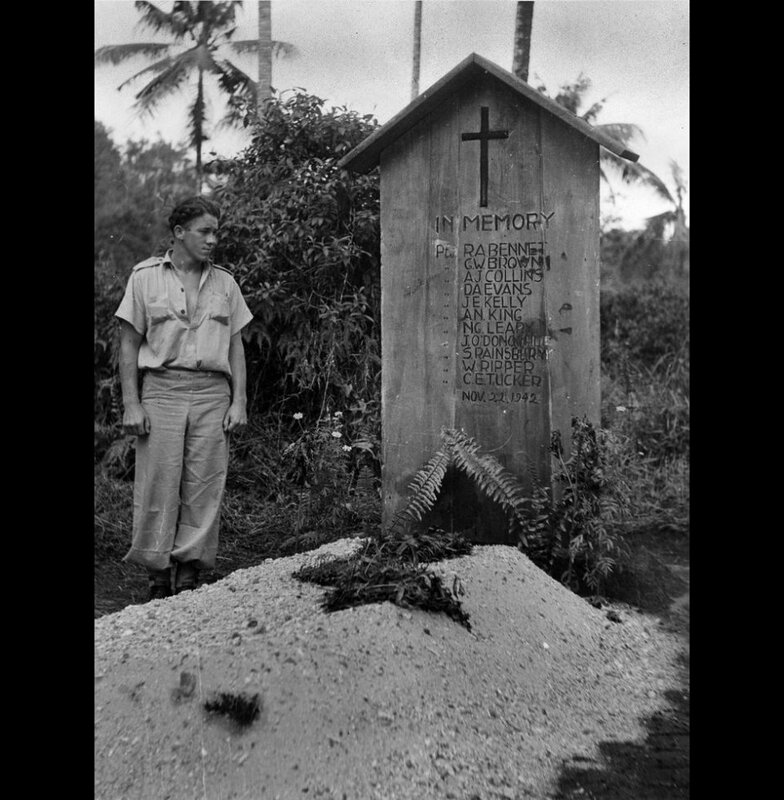 O'Donoghue standing beside the mass grave dated 22 November 1942, in which his brother lies buried, 1945. Image courtesy of Argus Newspaper Collection of Photographs, State Library of Victoria. The defendant, Kaneoka Kiko, nicknamed ‘Cyclops’, was a Korean Guard serving as a member of the camp-staff in a P.O.W. Camp in Ambon Island, Netherlands East Indies (present-day Indonesia). Kaneoka was accused of ill-treating British and Dutch P.O.W.s under his charge. 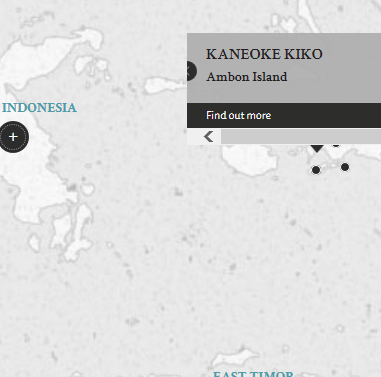 These incidents occurred both in Ambon Island and aboard the SS Maros Maru, a troop transport ship which was ferrying 638 POWs from Ambon Island to Surabaya, Java. 305 P.O.W.s died on board SS Maros Maru. Kaneoka was specifically accused of ill-treating one LAC Thomson by repeatedly hitting his forehead with a stick while on board the SS Maros Maru, thereby resulting in Thomson's death. Additionally, Kaneoka was accused of causing physical suffering to the other P.O.W.s by, inter alia, physical maltreatment, failing or refusing to provide sufficient and adequate food, water, medical supplies and sanitary conditions, and exercising a reign of terror among the P.O.W.s. According to trial discussions, Kaneoka seemed to be more powerful than what his lowly rank suggested. According to the witnesses, Kaneoka was in charge of the food on board the SS Maros Maru, which was an extremely important position and allowed him to “rule the roost”. Additionally, Kaneoka's big and strong stature, coupled with his vicious brutality, meant that he exercised a reign of terror that not only terrorised the P.O.W.s, but, to some extent, the remainder of the Korean and Japanese guards on board the ship. Prosecution also suggested that Kaneoka's demeanour in witness box and truculent replies during the trial do not suggest that of an underling. Kaneoka, Kiko. Yonin (Korean Guard). From Japanese military. From Korea. Guilty. Death by hanging. Sentence confirmed. Froideville, C. Monod de. Lieutenant Colonel. From Dutch military. Sahay, S. B. Major. From British Indian Army. Advocate in India. Mostyn, F. E.Major. From British military. LLB. Sawada, Tetsuo. Attorney of Tokuhu University, Japan. Bains, N. S. Major. From British Indian Army. BA (Hons) LLB Punjab University.